Late 2018 was a special time for us at Laran Bronze. We were chosen as the trusted foundry by the U.S. government to go to Korea where one of three bells were located prior to their return. There are three church bells that were taken by the United States Army from the Church of San Lorenzo de Martir in Balangiga, Philippines, as war trophies following the Balangiga massacre in 1901 during the Philippine–American War. One church bell was in South Korea, while two others were on a former base in Cheyenne, Wyoming. For more information about this step toward mending international relations and trying to push toward a peaceful future by checking out the website: https://www.usphsociety.org/. We've been SOOO busy this Fall! George Romero bust we cast is on SYFY network! Christian Stavrakis, Our new client and foundry friend is getting a lot of attention lately. You may have heard of George Romero, a family friend of Stavrakis, is considered by many to be one of the most cherished contributors to the horror film genre. He is also known as a humanitarian and social commentator ahead of his time. Christian Stavrakis with the finished bust in the Monroeville Mall in Pittsburgh, PA. The bust is on display in the Monroeville Mall, Pittsburgh, PA, where the critically acclaimed "Dawn of the Dead" was filmed and served as the iconic setting for much of the 1978 film. "Zombies", have become a staple in today's pop culture. The credit for conceiving the metaphor of "the dead consuming the living" goes to Romero. As May comes to a finish, so do a lot of amazing sculptures! Vinnie traveled to the foundry from Yonkers today to work on the wax of her life size Marvin Gaye sculpture. 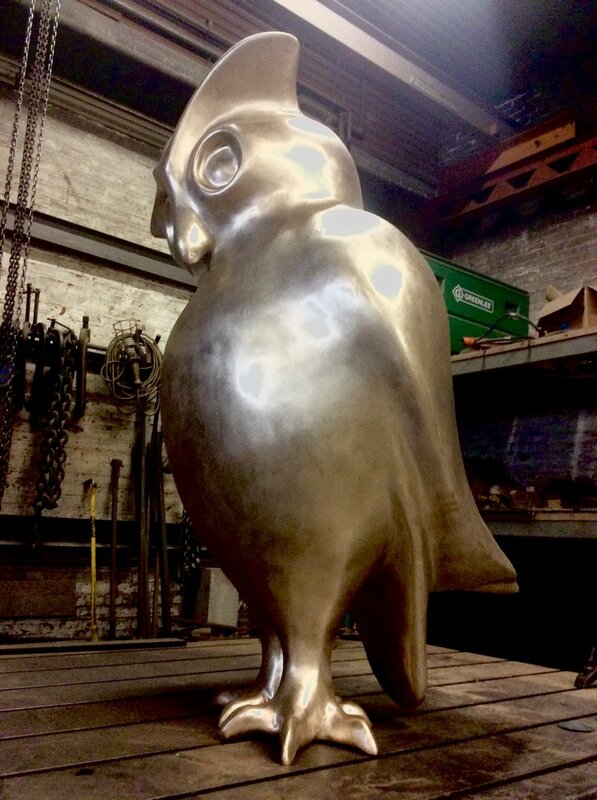 The finished bronze will be dedicated at the Marvin Gaye Community Center in Washington DC later this Spring. 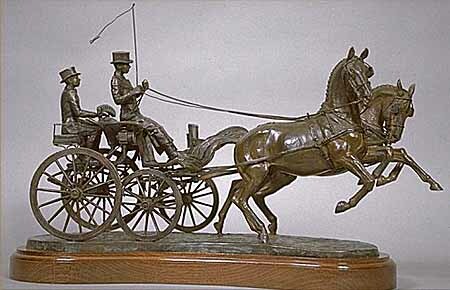 The sculpture will be installed in St. Martin Prep School in Waukegan, IL. Martin Luther King Jr and Billie Holiday by James Earl Reid, and "The Rifleman" by Earl Lanning. Earlier this year the 8ft. Bronze memorial by James Earl Reid was vandalized and the two reliefs on the pedestal base were damaged. "God Bless the Child" and "Strange Fruit" based on songs by Holiday. Sculptor and foundry friend James Earl Reid stopped by to inspect the waxes before investment for casting. Just one of the many unique tables that will be on display.